Keeping things fresh down at Total Dojo . 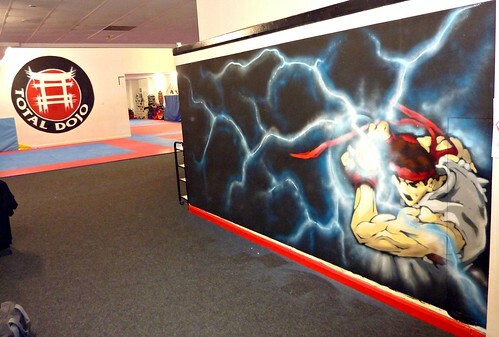 A Ryu character throwing a Haduken on the notice board wall and a Total Dojo breaking through the high plot above the mat . Nice. 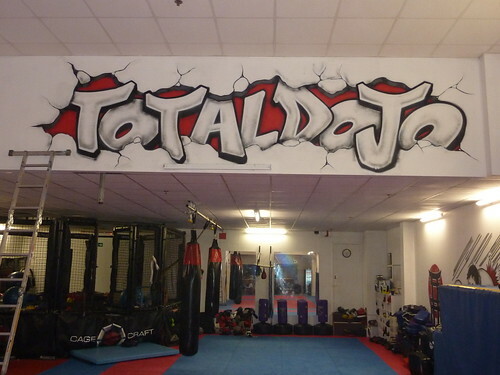 This entry was posted in Artwork, Commissions and tagged milton keynes muai thai, mk Fight schiool, Total Dojo MK. Bookmark the permalink.